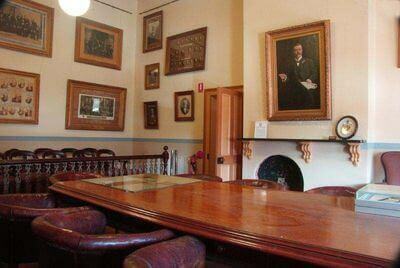 Creswick Museum | Business & Tourism Creswick Inc. 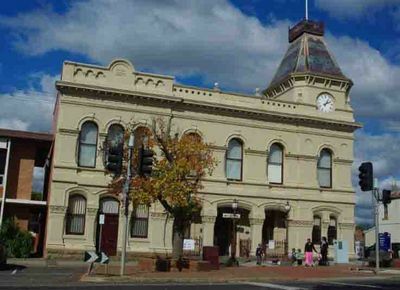 The Creswick Museum is housed in the former Municipal Offices of the Shire of Creswick, situated in the Town Hall complex. The Town Hall was built in 1876, a magnificent two storey National Trust classified building, with a tower and clock. It was opened to the public on 20th November 1970 by Sir Daryl Lindsay. The interior of the building is notable for the magnificent classic winding staircase of local Basalt. From the balcony on the second floor you can look down onto the Lindsay Gallery. The Museum has special exhibitions on a regular basis. Opening Hours are Weekends and Public Holidays 11.00am to 3.30pm and other times by special arrangement. You can access Creswick History by visiting the Creswick Research Centre, 1 Raglan Street, Creswick on Fridays and Saturdays 11.00am- 3.00pm. Click here to go to to the Creswick Museum website for more information.